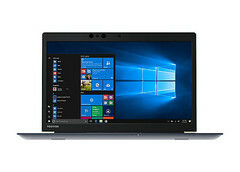 The Tecra line of Toshiba business laptops has been updated with the new Tecra X40. This new notebook features a tough chassis, various security features, and can be outfitted with a variety of different hardware components. A base version can also be purchased—it includes an Intel Kaby Lake processor and a decent if unspectacular amount of memory and storage. Toshiba's Client Solutions Division has just made available a new notebook for business professionals. The Tecron X40 is a 14-inch laptop that runs Windows 10 Pro and comes with a multitude of enterprise-level security features. These security elements include a proprietary BIOS, face authentication capabilities, a fingerprint reader, BitLocker Drive Encryption, and a smart card reader, among other features. Specs-wise, the Tecron X40 comes with one of various seventh-generation Intel Core processors, although which models exactly are not known. 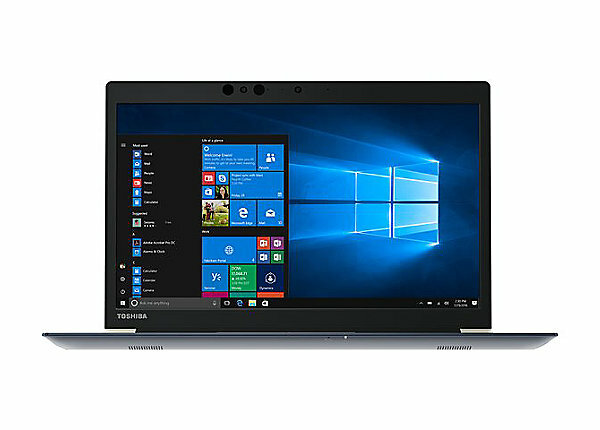 Specific details about the rest of the laptop's specifications are similarly unavailable, but Toshiba mentions available options such as a 1080p multi-touch display, 802.11ac wireless connectivity, solid-state drives, and long-lasting batteries. Toshiba also says it will offer the notebook with "a wide variety of Build-to-Order options" that will allow customers to select their preferred CPU, GPU, and memory and storage types and amounts. The Tecron X40 is a fairly portable device, measuring 16.9 mm thin and weighing 2.76 pounds. Remarkably, it stays easy to carry even though it uses a magnesium alloy Tough Body chassis—that happens to carry a MIL-STD-810G certification—that makes it extra resistant against various forms of accidental or environmental damage. Prices for the Tecron X40 start at $1,329 for the base model. In addition, Toshiba is also selling a Thunderbolt 3 dock for $300 and a variety of USB-C adapters that range in price from $45-90. All of these products are available from CDW as well as various resellers.